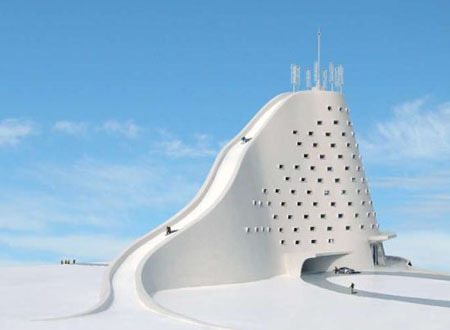 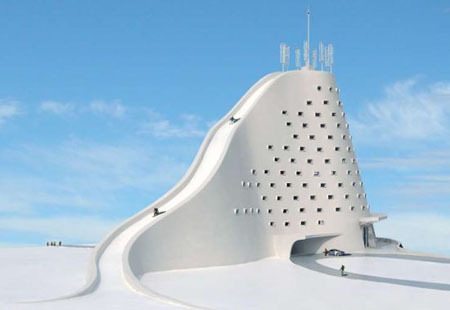 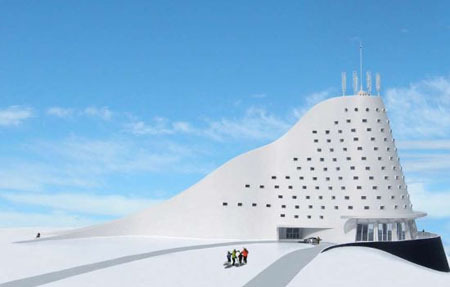 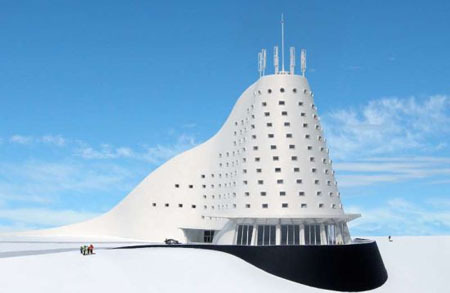 With the aim to design a building that will able to provide the luxurious way of living while being able to run on renewable energy, designer and architect Michael Jantzen has created the North Slope Ski Hotel. 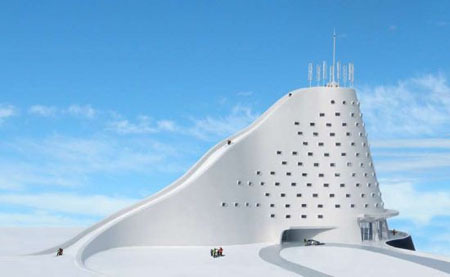 This hotel has ninety-five luxury rooms and is primarily powered by solar as well as wind energy. 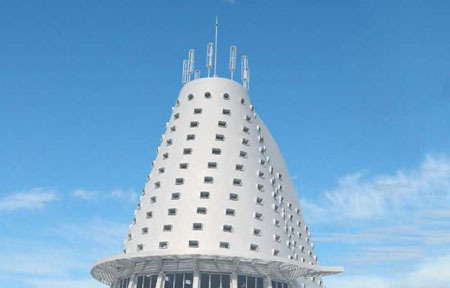 It has eight large vertical axis wind turbines mounted on top of the said hotel. 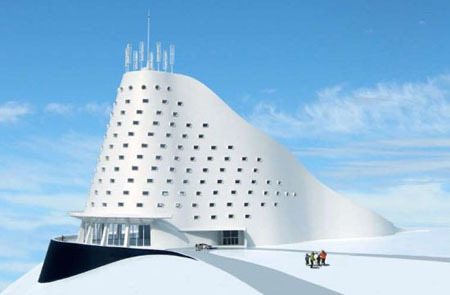 The large flexible PV array is the covered on the lower south part of the hotel. 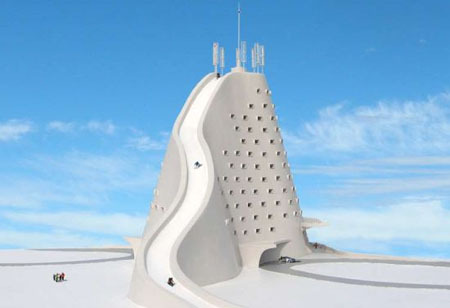 Aside from the wind turbines and the solar cells that supply the hotel’s electrical needs, the hotel will also be build using sustainable materials.